The Original Texas Blaster Ultimate Rig! 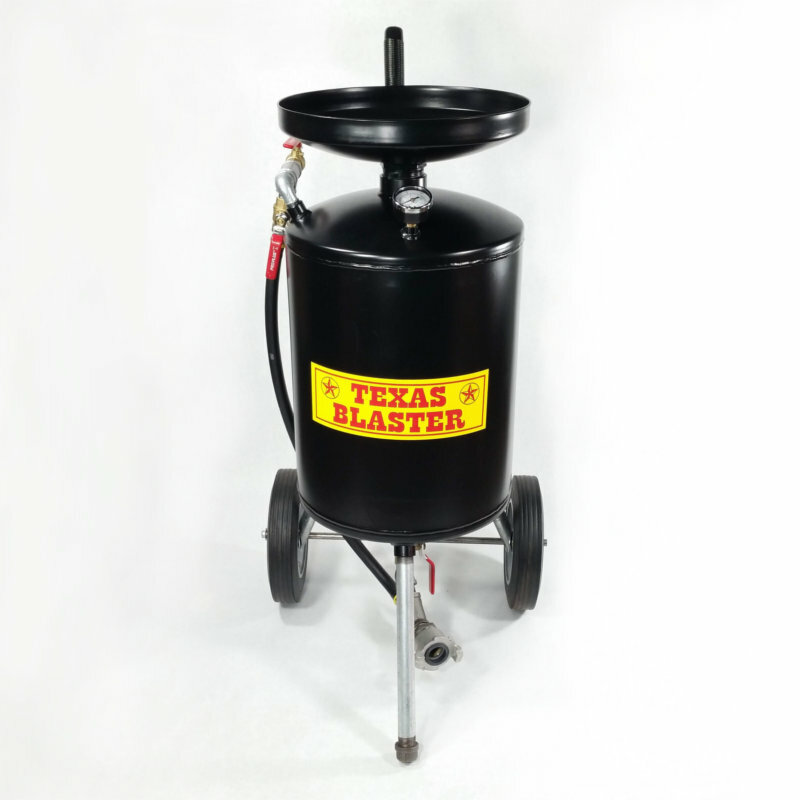 For 2 decades this has been our most popular Texas Blaster Configuration. The Ultimate cleaning tool. 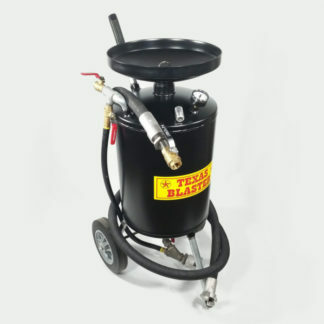 The Texas Blaster Unit and our most popular accessories in one versatile package. Separately everything included would cost over $800. With this unit you get the Ultimate in options and the Ultimate in savings. Texas Blasters are pressure pot style blasters, made from 12 gauge rolled steel, are 14″ in diameter, 35″ in height sitting on its wheels, and have a media capacity of 1.5 cubic feet. Tanks are designed with an integrated funnel system to aid in filling, weigh 65lbs (not including hoses, accessories, or media), are mounted on 10″ solid rubber wheels for easy transportation, and are finished in a durable powder coat. If there is something this unit will not blast, we have not found it yet! Texas Blaster Unit specific Frequently Asked Questions. Have a quick question about the Texas Blaster Units? Then this the place to look. 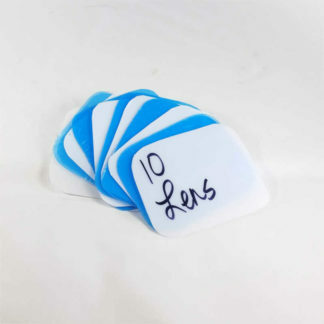 Not seeing what you’re after. Then there are lots more places to look. Start with the Resources Menu at the top of the page. As always don’t hesitate to email, text or call. I want to buy a media blaster to: fill in the blank. What do I need? Easy one. A Texas Blaster! Seriously though, the very best place to start is Blast School 101. It’s loaded with info to help the novice and pro alike. 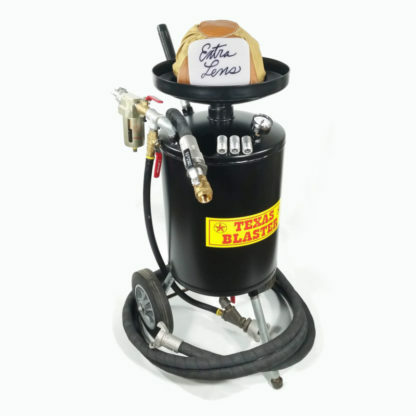 Will my compressor run the Texas Blaster? Yes. 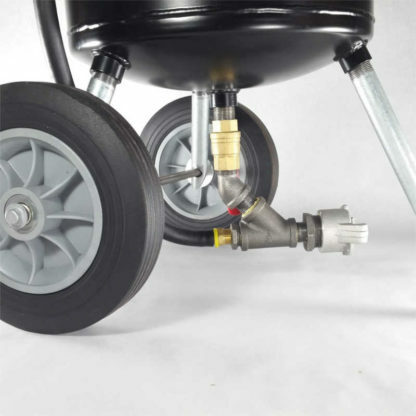 What size nozzle you may use is dependent upon the air compressor’s CFM output. 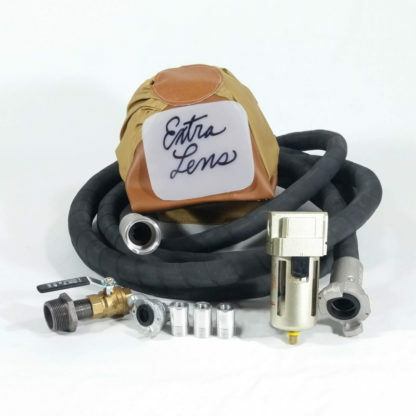 Please refer to our Compressor Nozzle Match page for more information. Can you tell me how many CFM my compressor makes? No. 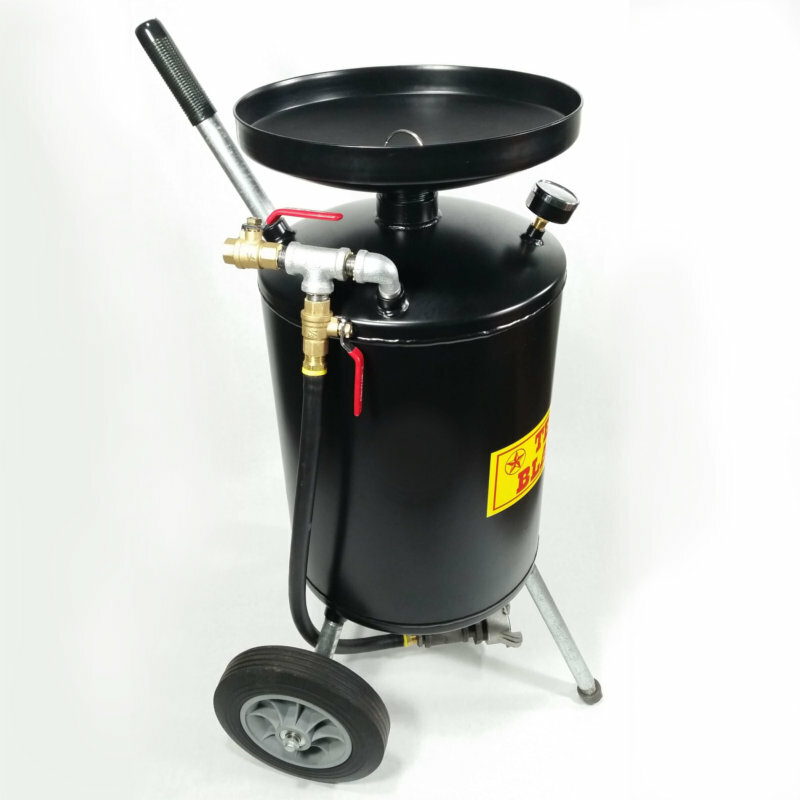 We don’t sell air compressors and we can’t keep track of a zillion different makes and models. However, this information can usually be found on your compressor label, in the user documentation, or by contacting the manufacture via phone or internet. Does the blast tank come in different sizes? No, the tanks for all units are the same size: 1.5 cubic feet. They hold approximately 150 lbs of sand. Other media may vary. If I put sand in my Texas Blaster, can I change to Soda later? Absolutely! Change media as often as you want. This makes Texas Blaster a truly versatile tool. 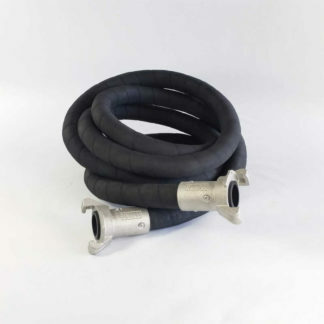 How long do nozzles last before needing replacing? Boron Carbide nozzles (those included with the blast units) last approximately 500 hours with sand/slag. However; this number can vary considerably with pressure, media choice, and operating conditions.